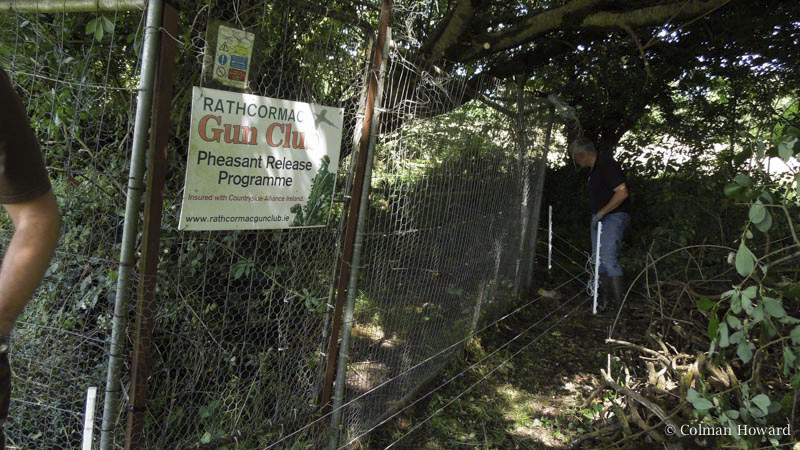 Following from many years of failed pheasant release programmes, which involved keeping pheasant chicks in “domestic chicken” like conditions with daily human contact and then releasing them into the wild following netting and many round of manual handling, we felt there had to be a better way. Rather than re-inventing the wheel, we under took extensive research on release programmes that are used for rough shooting rather than driven shoots, in addition we consulted game keepers who provided us with invaluable advice. 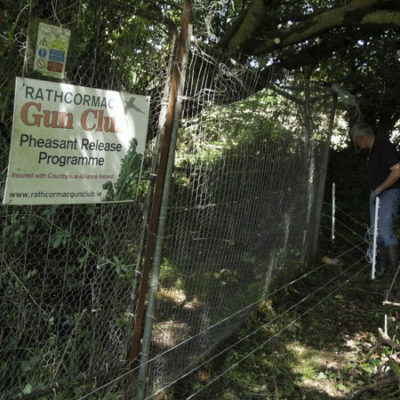 The location of the pens are extremely important, it must obviously be positioned in a suitable area to provide shelter and natural food for wild pheasants and it should be strategically located within your shooting area and sufficiently far apart from the other pens so you can encourage good pheasant migration across the parish. 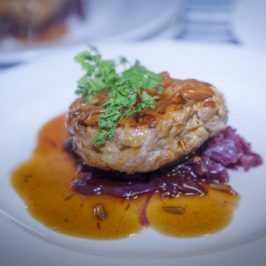 Lack of these requirements would have an adverse effect on the long-term performance of the birds in the wild, the objective is to give them a good start, these birds must learn to feed and drink in the wild and roost in the trees. • One-third gradual to tall overhead cover (to encourage roosting). Make sure there are no sharp corners to the pen and that there are feed and water are located inside and outside the pen. There are other considerations when you are preparing the site. 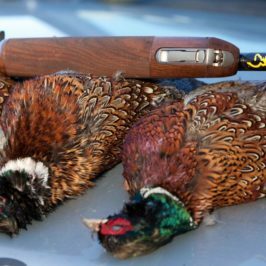 The key factors in designing the pen are the number of birds that you want it to hold and the limits imposed by the size of the site. 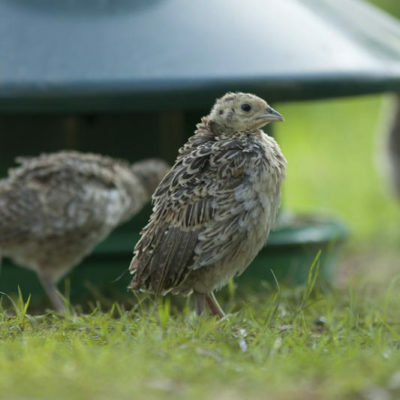 You should never stock birds at a density which compromises their welfare or damages the habitat or other wildlife. 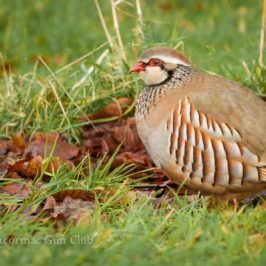 A low pheasant stocking density limits damage to the ground flora in the pen and the wood as a whole, as well as minimising husbandry problems such as feather pecking and the build-up of disease. For heavily shaded pens, thin the canopy trees to let in more light. 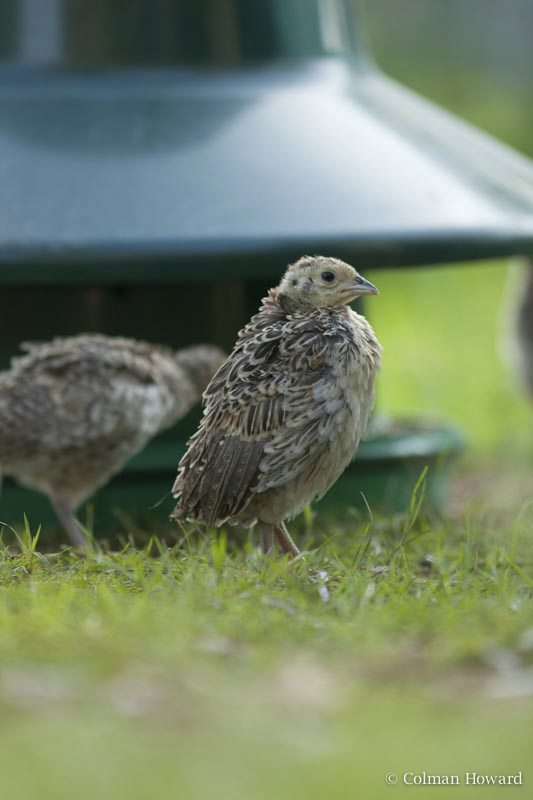 Pheasants prefer an open, sunny pen and the ground and shrub vegetation will recover from any damage more quickly. If light falls on only a part of the release pen, birds tend to congregate there, increasing damage in that part of the pen. Leave some felled trees for cover. So what is needed to construct a pen? Like most club’s the first constraint is usual budget! And the second is manpower! The following is a list of the ideal materials required, if you have the budget. • Tanalised posts 2.1m – 2.4m long and 7.5cm in diameter. • 1.2m x 25mm roll for the bottom, to keep out small ground predators, and one 1.2m x 50mm for the top. • Timber and hinges/latches for entry gates. • Re-entry funnels, complete with anti-fox grids and ‘wings’ (see diagram). 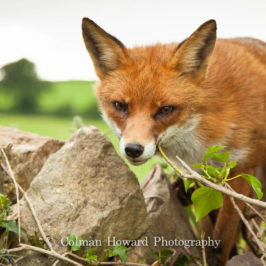 • Two-strand electric fencing system is recommended for all open topped pens to deter foxes. • Water butts and feeders. Now time to get building!? Once the site of the pen has been decided, a track should be marked out and cleared prior to construction. 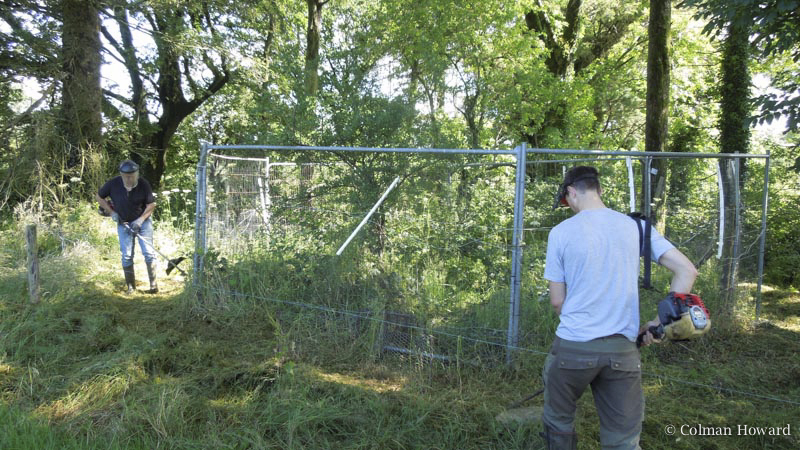 The track should be wide enough to include re-entry funnels with ‘wings’ .All branches overhanging the track should also be removed to discourage poults from flying out of the pen before they have become acclimatised and to prevent easy access for foxes. The minimum recommended height for a release pen is 1.8m (6ft). Tanalised posts 2.1m – 2.4m long and 7.5cm in diameter spaced approximately 3.6m – 4.5m apart, knocked firmly into the ground and capped to the required height make an ideal support for the straining wire. 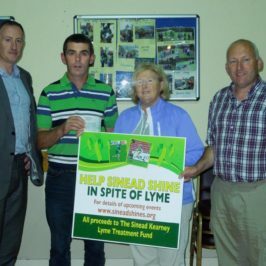 Two strands of 3mm diameter straining wire, one near the top of the poles and another half way between the top strand and ground level, run around the pen and stapled in position will make a strong frame upon which to hang the wire netting. Two different size rolls of wire netting are required: a 1.2m x 25mm roll for the bottom, to keep out small ground predators, and one 1.2m x 50mm for the top. Both should be fixed securely to the straining wire (bottom one first) 25mm galvanised wire netting should be placed on the lower section with the bottom 1ft being bent outwards from the pen and pegged firmly to the ground to avoid ground predators from digging their way in, before being overlapped and fastened to each other. Like wise at the top, 1 ft of wire should be bent outwards, semi secured but left to flap and not carry weight to prevent predators from climbing over the top. Access gates should be carefully sited. 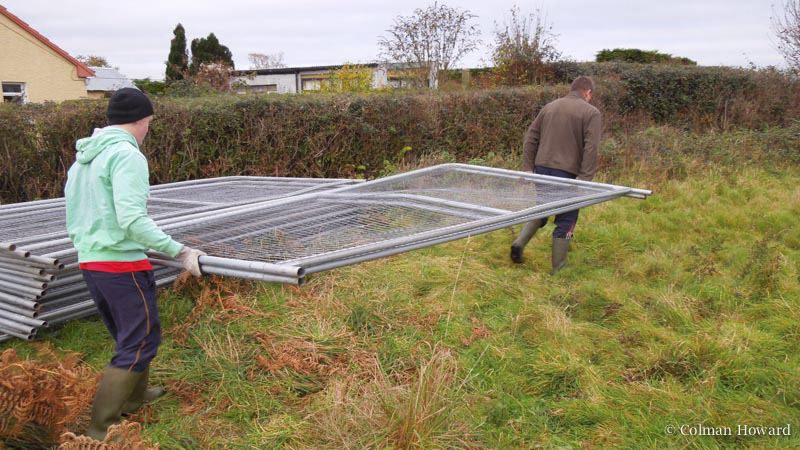 The gates need to be large enough to carry the poults crate’s in without removing the poults from the crates. Water is as important as food. Look around your locality in farmyards and locate large barrels capable of holding water. These barrels must be cleaned and free from any contaminant’s before use. 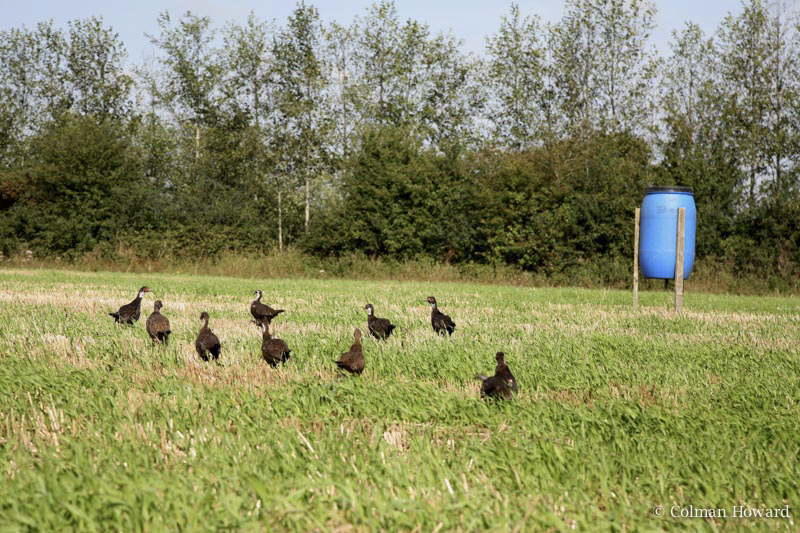 The greater your storage capacity the less you have to fill the barrels and prevent bird disturbance. Ideally, lay in water from the nearest connection, here is where you friendship with the local farmer is going to pay dividends. 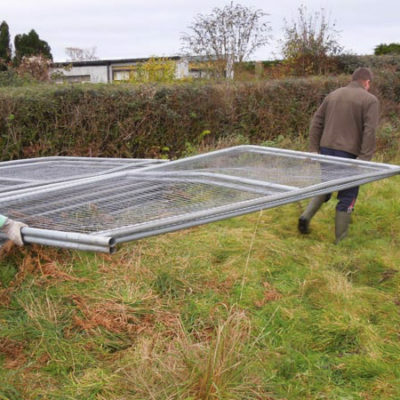 A simple two-strand electric fencing system is recommended for all open topped pens to deter foxes. It should be set 15cm and 30cm high and approximately 30cm out from the pen wire. Systems powered by a 12-volt car battery are ideal and easy to maintain. It may be necessary to get a stremmer to cut the grass under the wire where the electric fencer is used to prevent earthing of the current. It is advisable to test and run the fencer for a couple of days prior to poults being released in the pen, and routinely test thereafter. 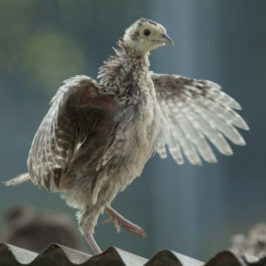 Once poults begin to fly out of the pen, they very rarely learn to fly back in. It is therefore essential to provide some form of re-entry funnels or ‘pop holes’, complete with anti-fox grids and ‘wings’. Grids should measure approximately 30cm high with 9-cm gaps between the bars and constructed around the pen. The more the better will help poults back into the pen and away from predators. The wings will direct poults, which are travelling around the outside of the pen through the anti-fox grid and wire funnel back in to the pen. Use lengths of old hose pipe to run the electric fence wire through these ‘wings’ to avoid the earthing of the current. Additional food and water points should also be positioned outside to prevent poults starving when they spread out to explore their new environment.